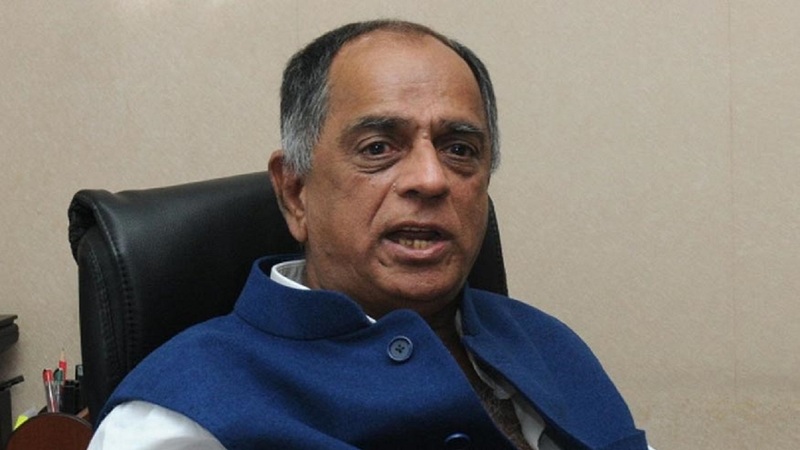 Pahlaj Nihalani's Term 'CUT' Short by CBFC, Bollywood Rejoices! Filmmaker Pahlaj Nihalani, who was finally shown the door as CBFC chief on Friday, speaks out and says he has no regrets about being asked to step down. He went on to express how proud he feels of being labelled as 'Sanskari' censor chief and had in fact been expecting this exit for a long time. Nihalani, who was appointed in 2015, has been replaced by the veteran writer-lyricist-ad guru Prasoon Joshi. After becoming one of the most controversial censor board chairpersons in recent history who got involved in squabbles with film producers over excessive cuts, beeps and disclaimers, Nihalani now spoke in a relaxed frame of mind a few hours after the news of his stepping down came out in the open. He said, "I had been preparing myself for my exit for months now. Actually, from the time I came in, there have been elements working against me, some of them from within the CBFC. These elements - I'm not going to name them on-record are currently celebrating premature Diwali." "Unka toh tyohaar mere jaane se ho gaya (They are in a festive mood because of my ouster)," he added. When asked any regrets about this departure, he said, "None at all. Believe me, I was brought in as the CBFC chairperson all a sudden. I happily took up the job that the government thought me fit for. Now when the government has asked me to step down, I do so without any regret. It was a big challenge while it lasted. When I came in, there was rampant corruption in the CBFC. I got rid of all the middlemen and touts who made money in the censor certification process. They too must be celebrating Diwali in advance this year." He evaded from commenting on Joshi being his successor. Instead, he said, "Whoever takes over from me is welcome to do. I only hope he doesn't reverse the work that I started at the CBFC. I feel we have achieved a lot in the past three years." He added further, "Do I have any regrets? None at all. I worked in all sincerity and with utmost honesty. In the process, I offended a lot of the so-called progressive elements. I also got labelled a 'Sanskari' censor chief. I am proud of that label. I hope I am remembered as the CBFC chairperson who took a firm stand against vulgarity and pseudo-liberalism, no matter how unpopular it made me." On the other hand, the news has mostly brought cheer and joy to a lot of b-town celebs who have had to suffer at the hands of the Sanskari chief and have now taken to twitter in full swing expressing their joy. While filmmaker Anurag Kashyap, one who by all means must be one of the most pleased with the news, chose only to subtly hint at his emotions by sharing a song from Saheb Biwi Aur Gulam, other celebs were much louder about the breath of fresh air that came in with Nihalani's ouster. #PahlajNihalani replaced by Prasoon Joshi as the Censor Board Chief. Brilliant move of making @prasoonjoshi_ as the new #CBFC Chief. Kudos for the apt decision. Firing Pahlaj Nihalani was really long overdue. Phew! Pahlaj Nihalani finally removed as CBFC chief. Prasoon Joshi takes his place. The contrast is just too much. I don't often say this but thank u @PMOIndia & @smritiirani . The removal of Pahlaj Nihalani & appointment of Prasoon Joshi is much welcome. Pahlaj Nihalani's days as the CBFC chief may be over but only time will tell if the new chairperson let's Bollywood's new gen movies take a smooth ride or not. Till then it's only flying colours and celebrations in the show biz!